The greater Montgomery County area offers numerous ways to experience holiday traditions of the past. Peter Wentz Farmstead, for example, recreates the celebrations of Colonial times. And Pennypacker Mills’ programming brings to life the upper-class sheen of a Victorian December. To see them together, however, may sound difficult, especially in the rush of these last few days before the December 25-26 Christmas-Hanukkah-Kwanzaa convergence. 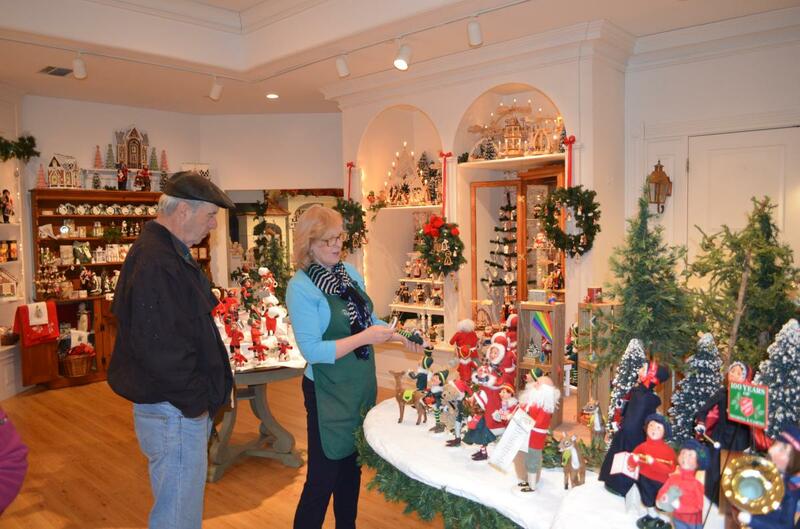 Addressing their geographic separations, however, is relatively easy: visit their miniaturized versions at Byers’ Choice Christmas Museum, a four-minute drive from Montgomery County’s Colmar. The Byers’ story began in the 1960s, when Joyce Byers employed her fashion design and art skills to make gifts for family and friends. 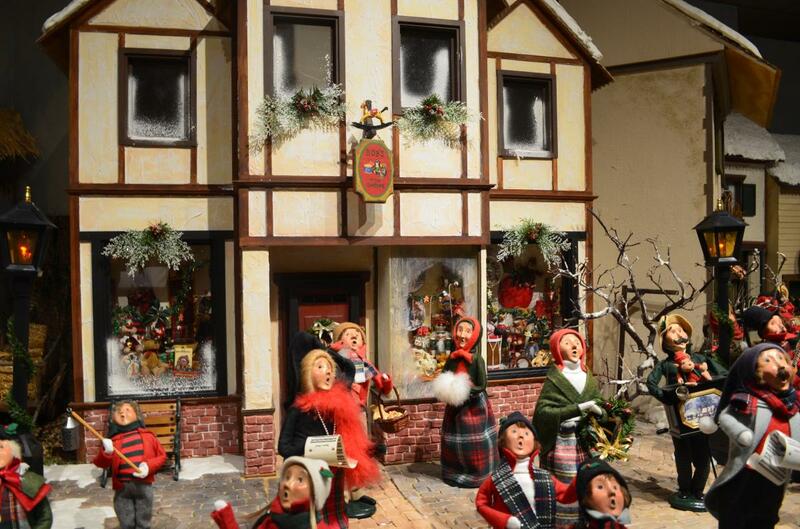 Using scraps of cloth, clay and even hair from her children and pets, she crafted a series of singing carolers. Their cherub-like faces and open-mouthed poses became her trademark, and before long, they proved popular enough to spawn a family business. Now, more than 80 artists work 51 weeks a year (they take the first week of January off) to create figures that are shipped around the globe. Tara Fryart, Visitor Center Manager for Byer’s Choice, took me on a tour. The day I visited was gloomy, but inside, the mood quickly became merry and bright. The lobby features a snow-making mechanism, just the thing to trigger a giant grin from three-year-old Jack Higgins, there on a field trip with his mother, Jennifer. 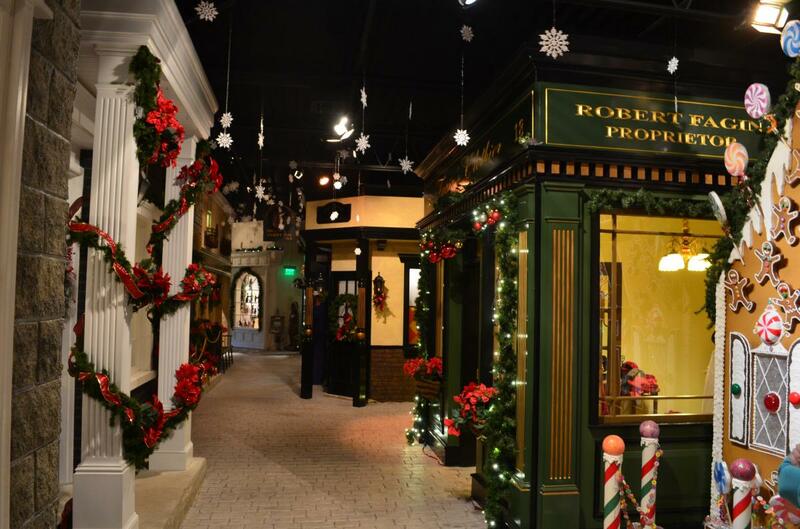 A large hallway features a full-scale Dickensian street, complete with storefronts rendered in startling detail. A two-story gingerbread house is particularly popular as a backdrop, and as we glided by, a family stood in front, grinning widely as a mother raised her phone. The centerpiece to a visit are the themed display rooms. There’s not a Christmas tradition alive that isn’t depicted: Dickens’ A Christmas Carol; the wool-coated quintet of a Salvation Army Band, complete with collection kettle; Santa’s workshop, brimming with elves. Fryart then took me to the production floor, where I witnessed how each little face is molded (no two are exactly the same), clothes are hand-sewn, props are made and each is dressed to exacting specifications. 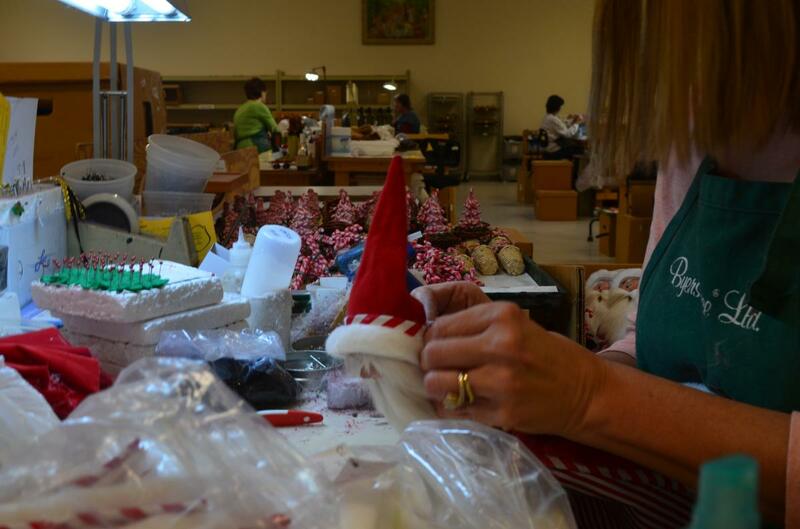 It’s an amazingly hands-on operation that doesn’t rely on conveyor belts or assembly lines, even down to the shipping. Fryart says that personal touch is part of the long-standing Byers’ tradition. “We service every figure for its entire lifetime,” she says. “Broken carolers and kindles are sent here from all over the world and repaired. “We’ve become part of families’ customs,” she continues. “Our products are often handed down from generation to generation. “We’ve heard stories of grandmothers buying carolers that look like their granddaughters. They’ll write a small note – ‘I bought this because it looks like you’ – and tuck it somewhere under the caroler’s coat. I asked Fryart what it’s like working in an environment of holiday happiness 40+ hours a week. “Do you ever get tired of all this Christmas music?” I asked, in deference to a playlist that fills the halls with Bing Crosby, the Mormon Tabernacle Choir and Brenda Lee. “Not really,” she replied. “But I do find that I need to get my own home decorated by the day after Halloween. “If it doesn’t happen then, it’s not going to happen at all,” she laughs. 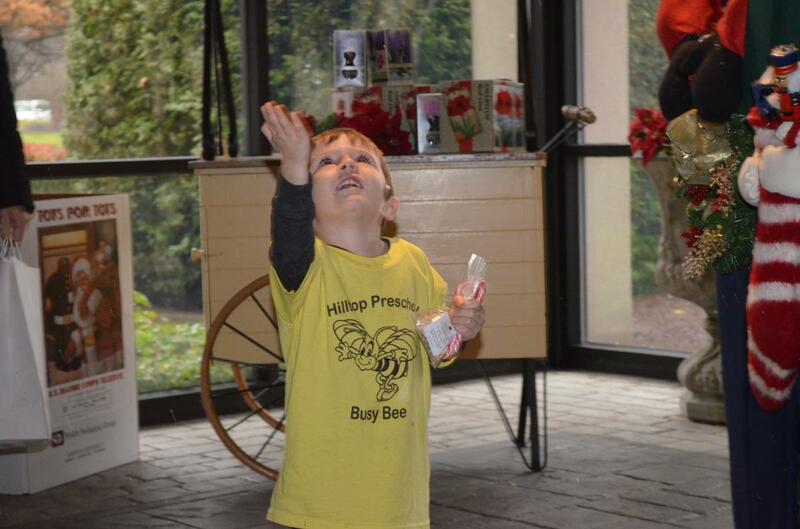 Byers’ Choice Christmas Museum is at 4355 County Line Road, Chalfont. It is open seven days a week from 10 a.m. to 5 p.m., with limited hours for Christmas Eve and Christmas Day.